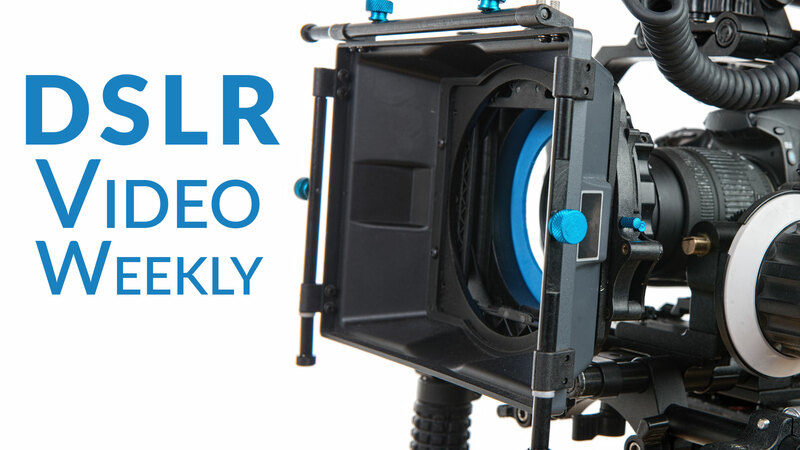 This is article #35 in the DSLR Video Weekly series. If you’d like the whole thing in one shot, check out the book Creating DSLR Video: From Snapshots to Great Shots. It is essential to first clarify what I mean by low light. Low light does not mean sitting in a room with the shades drawn and the lights off. Low light does not mean a lunar eclipse. Low light means shooting in an environment that has dimmed lights, or candlelight, or perhaps the light of the moon. Just remember that your eyes are far better at seeing in low light than a DSLR shooting video. When shooting in low light, a tripod is essential. When you’ve found the shot, lock it off and take your hands off the tripod to reduce any further vibration. But perhaps you might want to protest because you’ve probably taken some great pictures at night using a tripod. I believe you; so have I. However, the exposure time typically ranges between 1 and 10 seconds. Remember that when shooting video, you are capturing upward of 24 to 60 images every second. Shooting video in poor light is tough, but it doesn’t mean you shouldn’t try. Concerts or performances. These settings can be tricky to shoot in because sometimes stage lighting is dramatic, but more often it is very high contrast. Weddings and ceremonies. Houses of worship are frequently dimly lit or rely heavily on candlelight and natural light sources. Museums. Museums can be particularly problematic because many seem to fear tripods. Outdoor shooting at night. An overcast night, a night camping in the woods or even just a rural area can be pretty lean on lighting. Sunrise/Sunset. During dawn and dusk, light changes are quick! Be prepared to make rapid changes to your camera settings, or you’ll quickly lose the ability to get a proper exposure. While shooting under low light, you’ll rely heavily on your equipment. With less light to work with, you’ll need to get as much light into the camera as possible. When you can’t control the lighting, there are three measures you can take to improve your chances of capturing sharp-looking footage. If you need to do a lot of shooting in low light, consider purchasing a camera with a full-frame sensor (or you might already own one). These types of cameras can capture a significant amount of light, but you must also use a higher-quality lens with them. A full-frame camera system is definitely more expensive but is often the tool of choice for wedding and event photographers as well as photojournalists. Check out these full-frame DSLRs and full-frame mirrorless options. As you’ve already learned, aperture matters. If you’ll be shooting in low light, chances are the kit lens that came with your camera will fail when shooting video in low light. If you need the flexibility of a zoom, be prepared to pay a lot of money. Very fast zoom lenses are expensive. Because of the way a zoom lens works, the fastest lens you’ll find will top out at f/2.8. These fast zooms are also heavy. Although I own one and love it, you need to be aware that the lens has its own collar and foot to attach it to a tripod. If you leave one of these lenses hanging off the front of your camera, you risk damaging your camera from the hanging weight. A far cheaper option is to use prime lenses. These lenses let in a lot more light, and the f/1.8 models can be quite affordable. Prime lenses are also readily available with speeds of f/1.4 and f/1.2. A 50mm f/1.8 lens (Figure 7.4), often called a “nifty-fifty,” is one of the cheapest lenses sold by Nikon and Canon. Shooting in low light gets a lot more difficult when you introduce motion. The viewer will often forgive a blurry subject who zips through the frame when the background is solid and stable (as well as clear). However, if you have extra movement in the whole shot from a bobbling camera, getting the shot gets a lot rougher. Although a fluid-head tripod is ideal, the truth is that any tripod is a big help for shooting in low light. Remember to get a stable platform for the camera, and spread the tripod legs out wide. The tripod will dramatically reduce the slight camera movements that can destroy your shots. Shooting in the dark makes finding focus a challenge. Some DSLR cameras will use an autofocus assist light that can help illuminate your subject so the camera can find focus. Of course, using this feature may prove pointless (if you’re more than a few feet away) and annoying to others (if you’re at a concert or ceremony). Focusing your DSLR will typically be a manual affair for low-light shooting. Be sure to switch your camera into Manual focus mode. You can use the zoom button for the Live View panel to see a larger image before you start rolling. If you’re dealing with a moving subject, a loupe can really come in handy. Most loupes will magnify the image on screen 2.5 to 3 times, making it easier to see focus. If you are using a dedicated electronic viewfinder or monitor, you may have a focus assist or focus peaking option that will work as well.